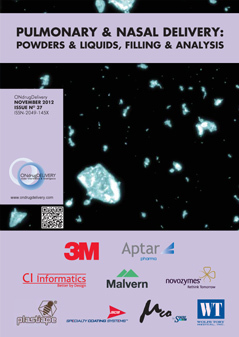 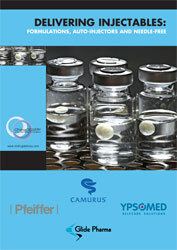 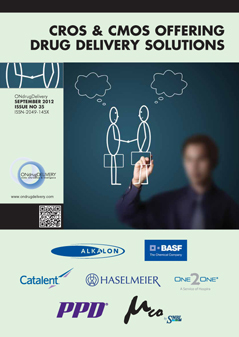 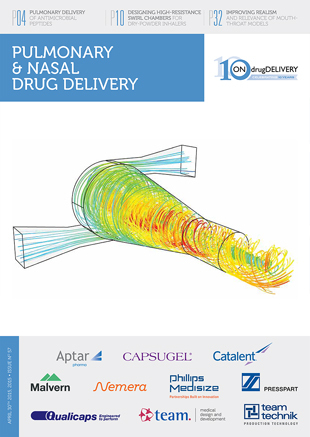 Citation: “Solutions for High-Volume Drug Delivery”. 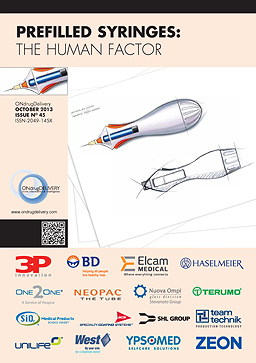 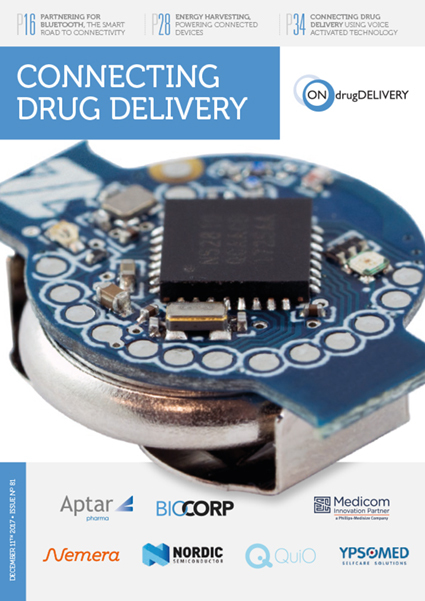 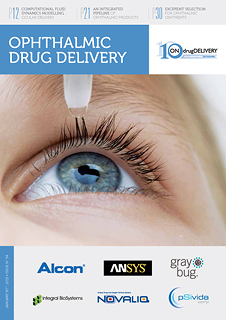 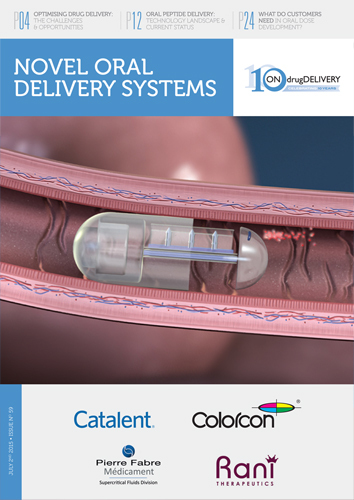 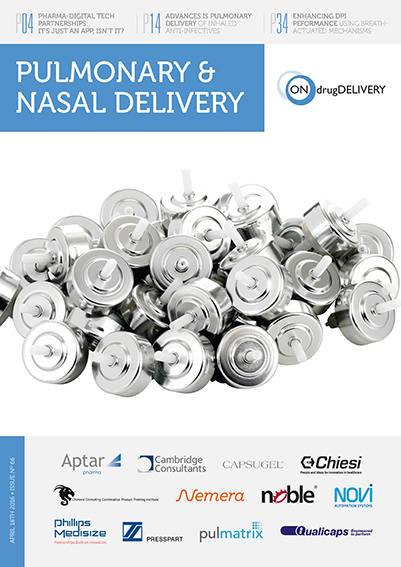 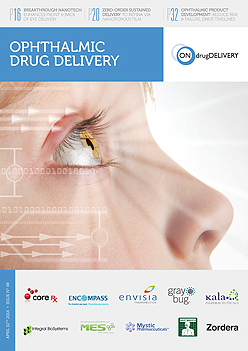 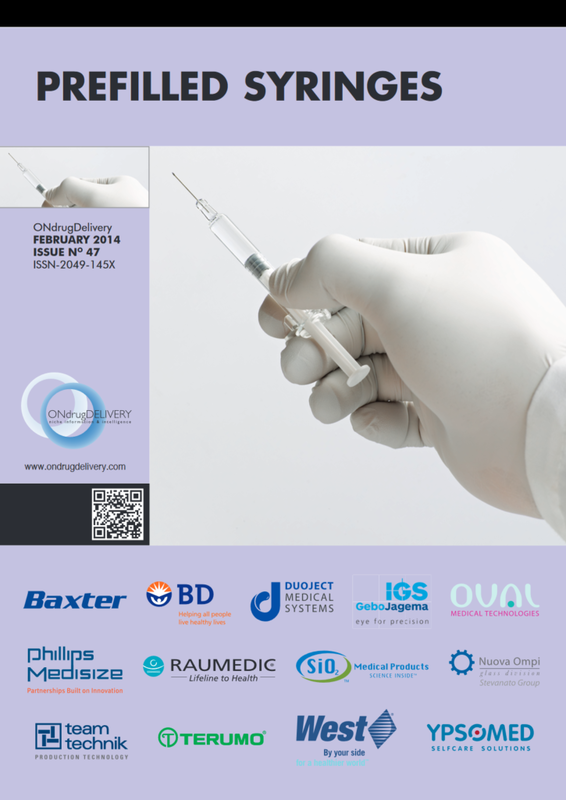 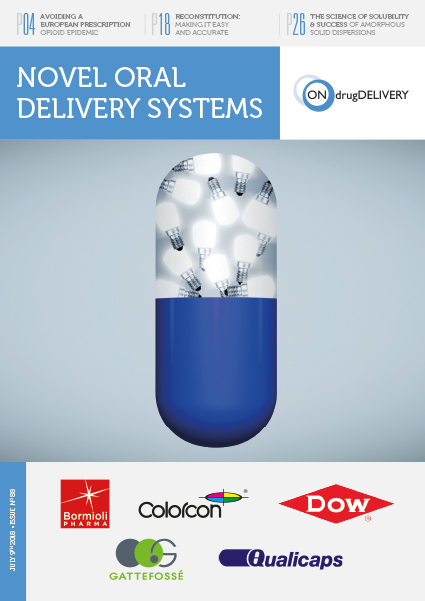 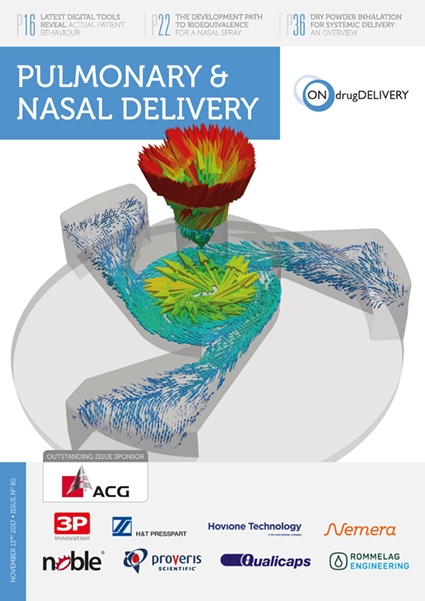 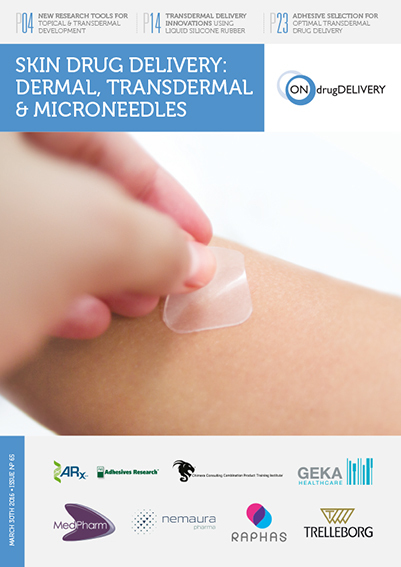 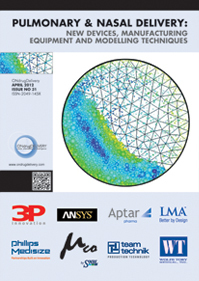 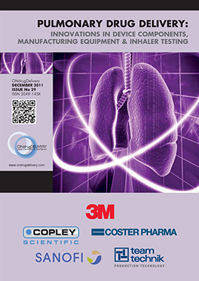 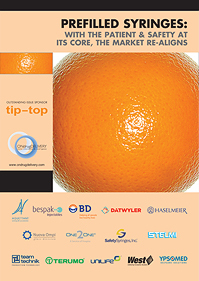 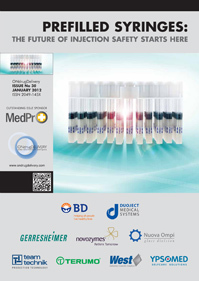 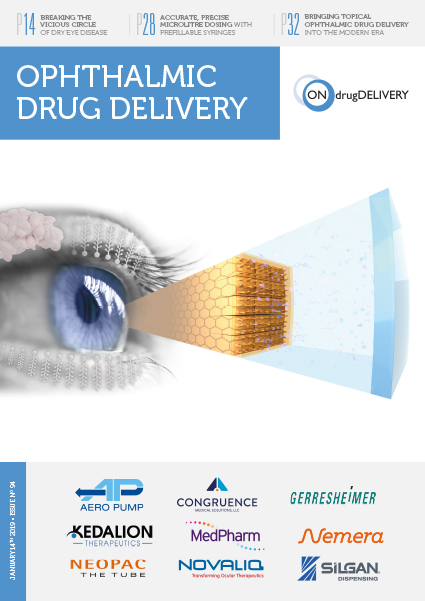 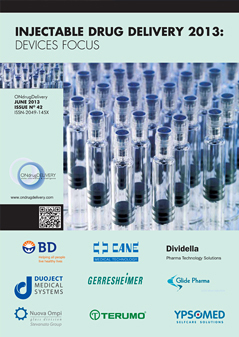 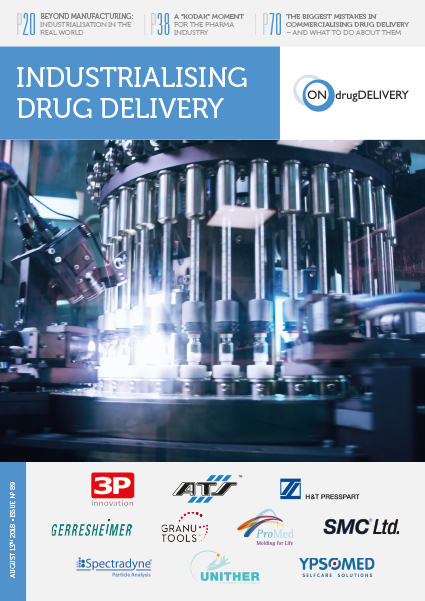 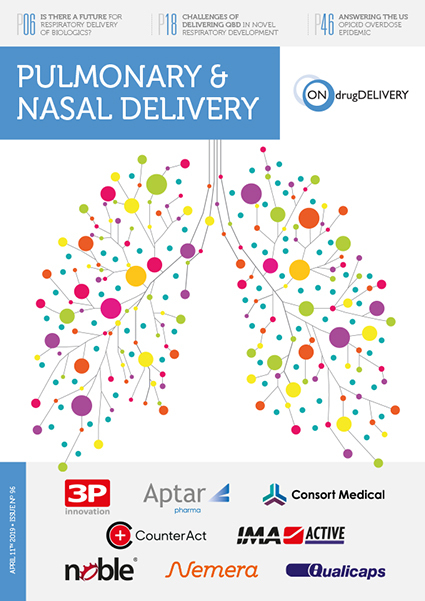 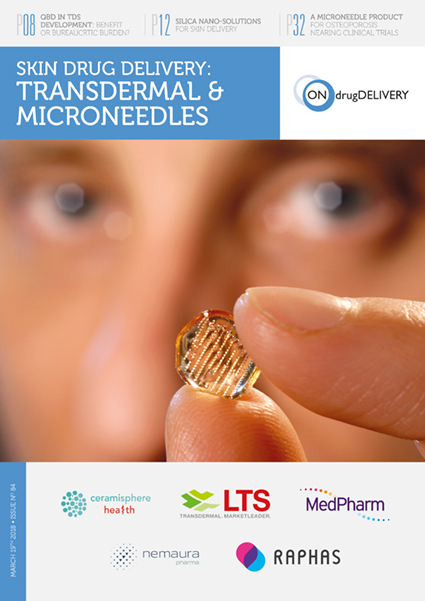 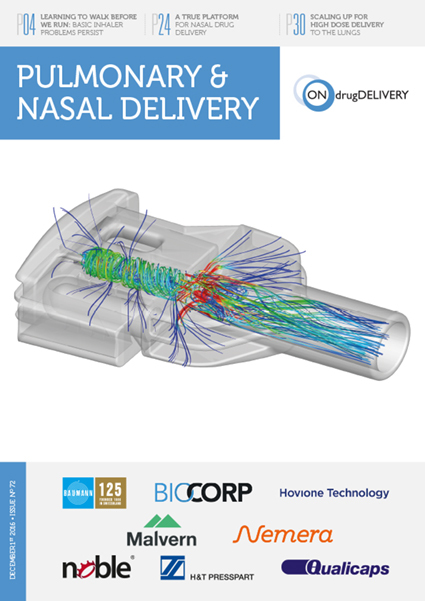 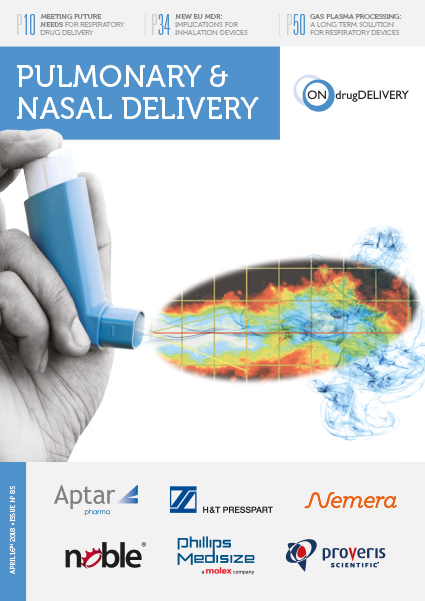 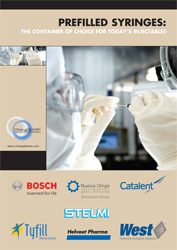 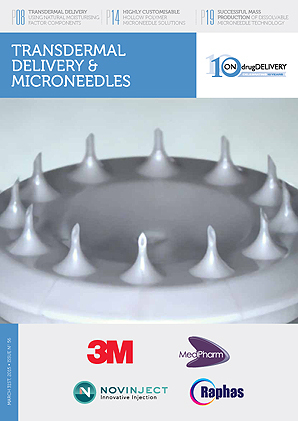 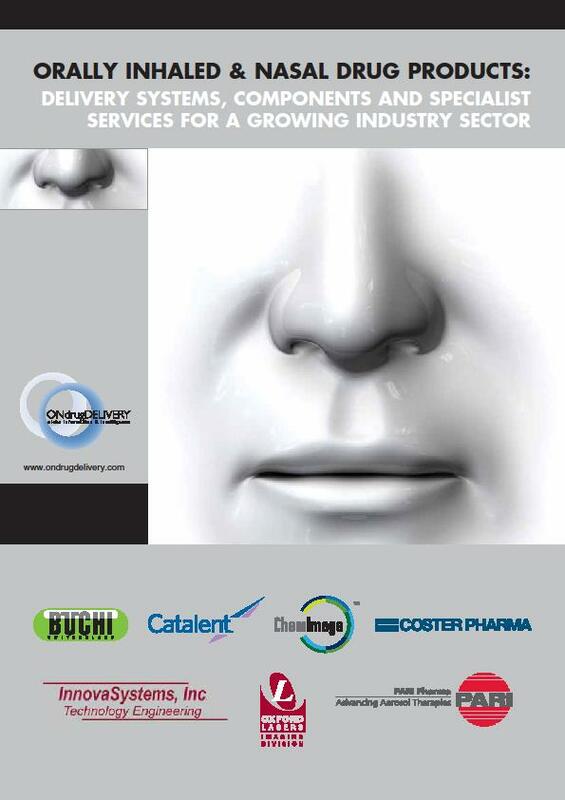 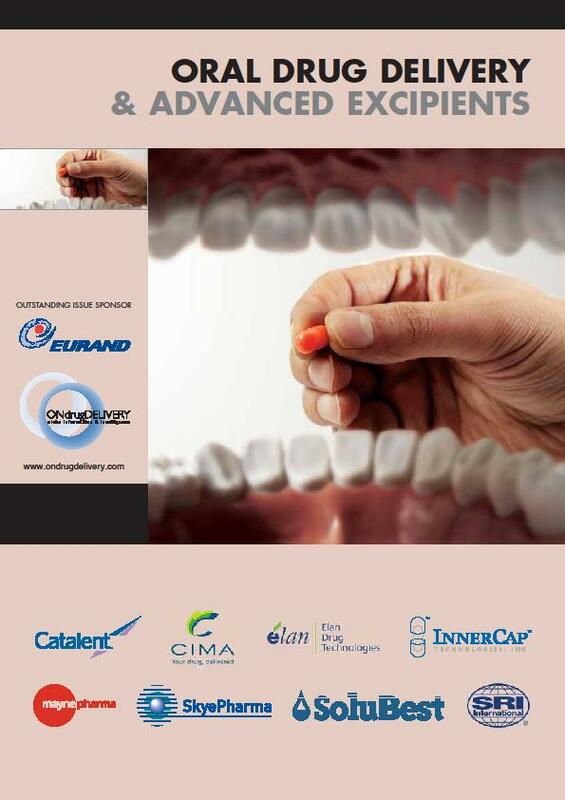 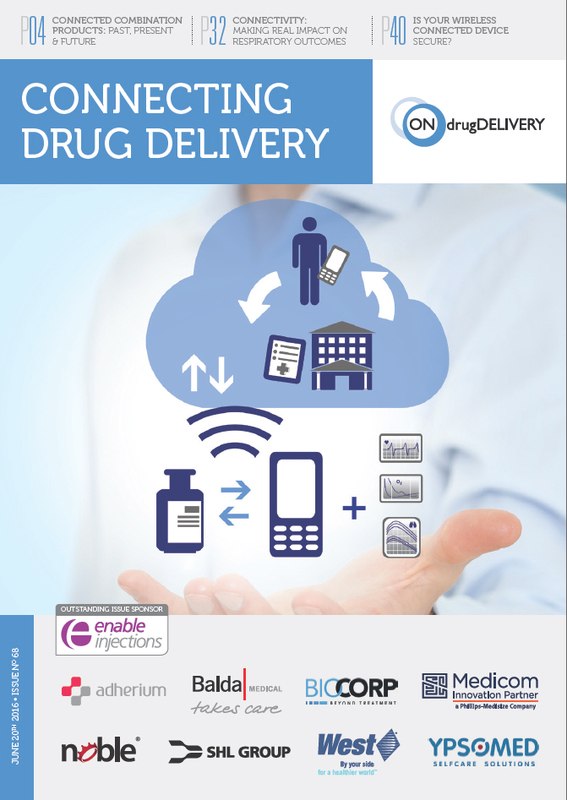 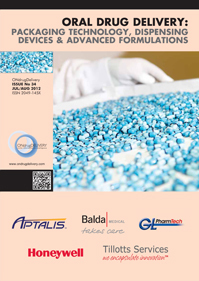 ONdrugDelivery Magazine, Issue 95 (Feb 2019), pp 6-8. 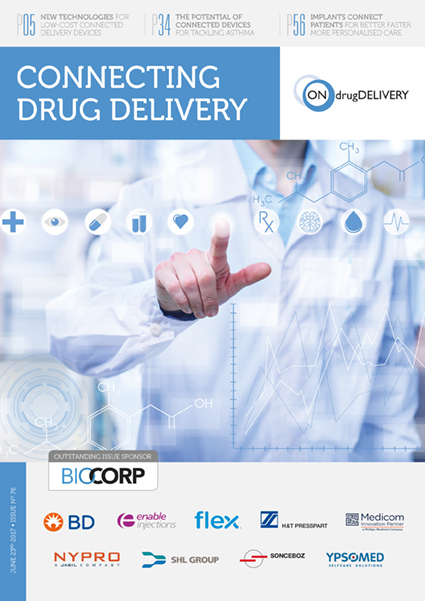 SHL Group introduces the high-volume variation of its Molly® family of products, the Molly® 2.25, and discusses more broadly the advantages that the Molly® business model offers to pharmaceutical and biotech clients. 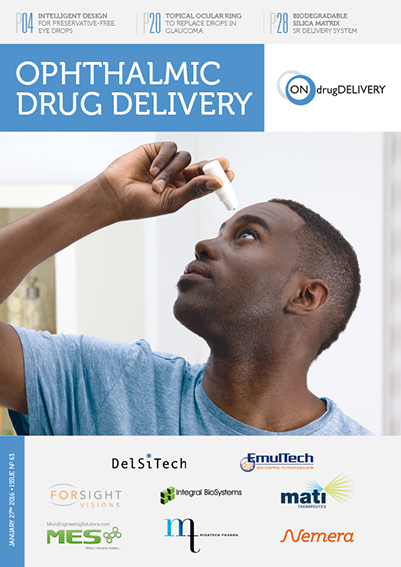 In 2010, SHL introduced a new business model to the autoinjector industry with its Molly® platform, offering pharmaceutical companies the opportunity to launch their combination products in a much shorter timeframe. 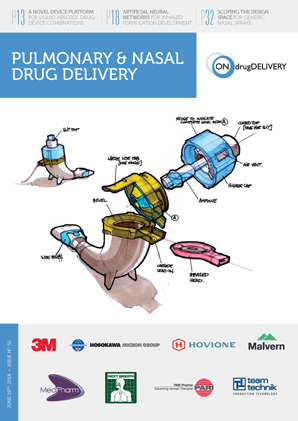 In response to the challenges of large-molecule drugs,1 SHL has answered with a higher-volume solution based on the original Molly® platform – the Molly® 2.25. 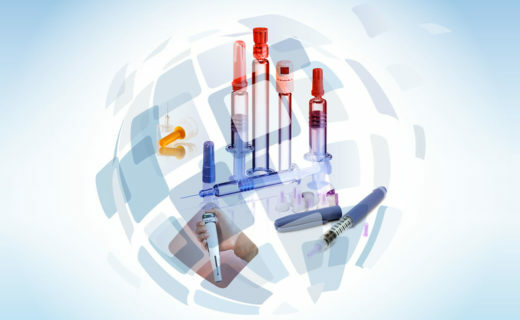 Molly® 2.25 represents SHL’s response to the growth of biosimilar products, providing its customers with a drug delivery device that enables high-volume injections and a faster development timeline. 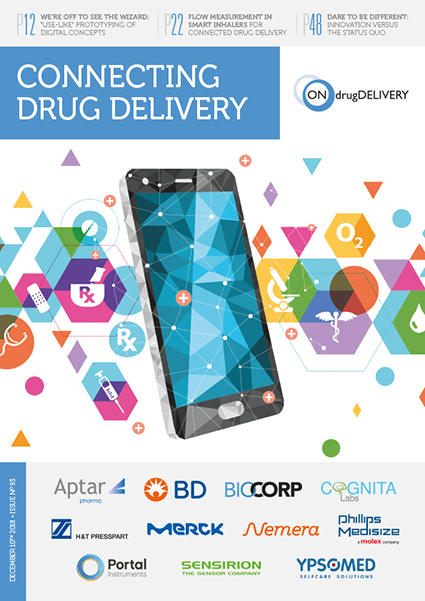 As biologics are expected to make up more than half of the world’s 100 top selling drugs by 2020,2 pharma and biotech companies are seeking ways to deliver these often highly viscous or high-volume drugs for self-treatment in a timely manner. 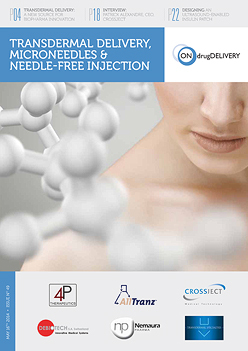 Injections can be of great discomfort to the patient. 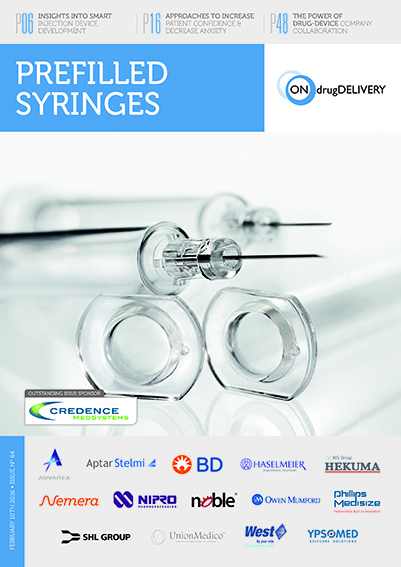 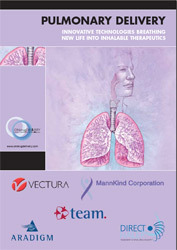 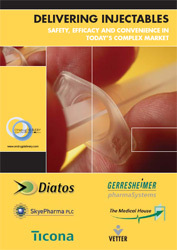 When injection discomfort exceeds a patient’s pain tolerance, they run the risk of low adherence to their medication in the long term.3 Pharmaceutical companies and device manufacturers must meet the challenge of producing a combination product that will, ultimately, deliver the formulation effectively without compromising patient comfort. 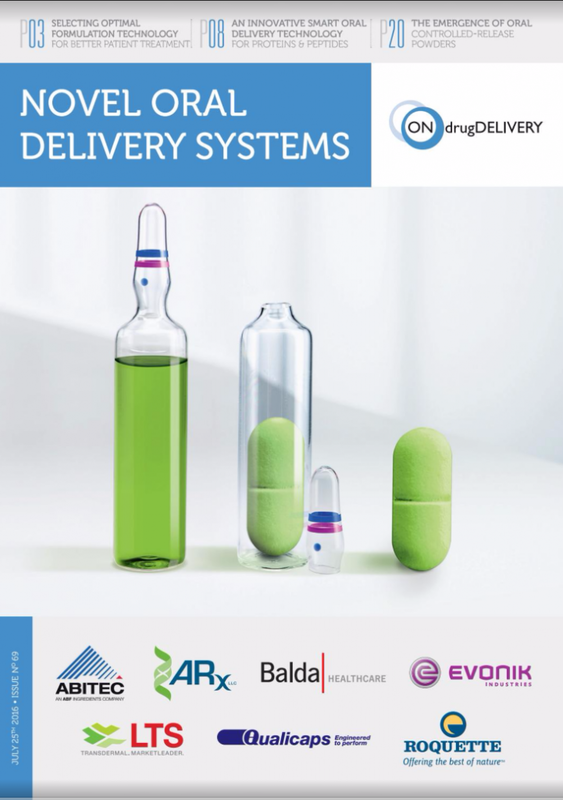 After all, whilst a combination product is produced by a pharmaceutical company and device partner, it is the end user – the patient – who determines its fate. 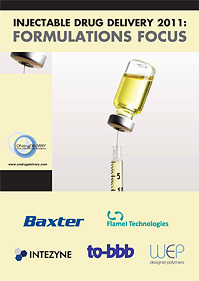 Another factor that impacts the device size comes from drug makers adding diluents into highly viscous formulations to provide better syringeability.2 This is a challenge to traditional subcutaneous autoinjectors as drug makers prefer to avoid extending the injection time, and increased volume often leads to increased delivery time. 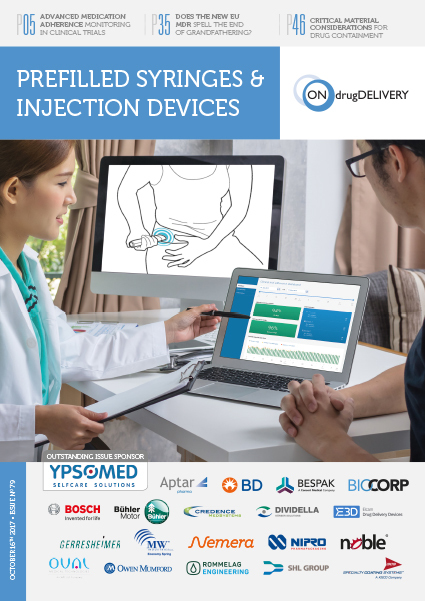 There is also a growing demand for larger-capacity devices that can deliver higher drug dosages per injection, due to a patient preference for less frequent administrations5 of their existing treatments. 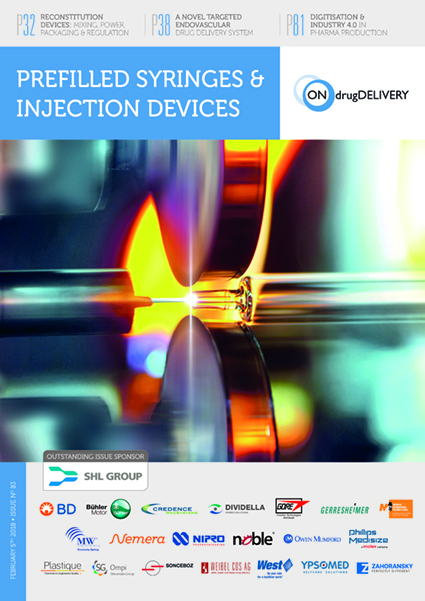 SHL Group has long been a leading solutions provider in the drug delivery industry, with nearly 30 years of experience in developing self-injection products. 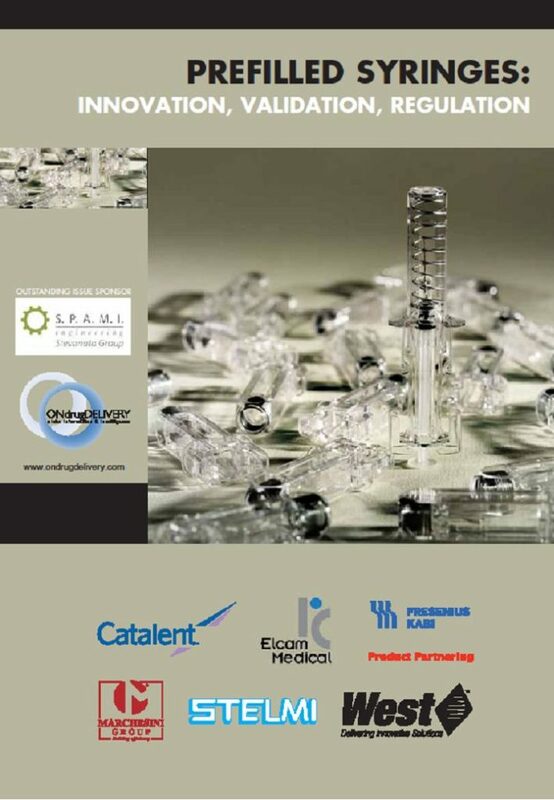 Coming from a strong background in design, development, manufacturing, quality control and regulatory compliance, SHL understands the challenges that arise when developing a combination product and it is therefore capable of presenting top quality injection products to its customers. 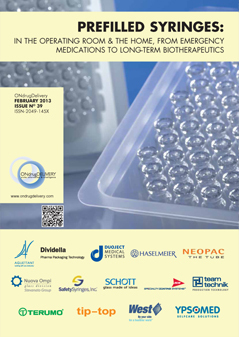 Years in the industry have put SHL in a position to foresee market trends and recognise what biopharmaceutical clients lack, need and want. 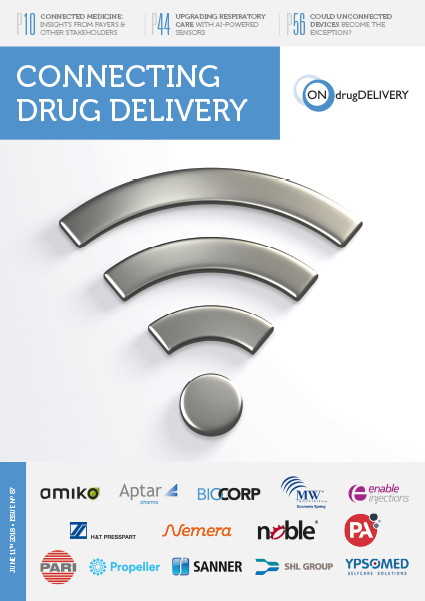 While fully aware of the need for device customisation designed specifically for original therapeutic drugs, SHL’s R&D and business team also understood that pharma needed products with faster development timelines that deliver reliable, high-quality performance. 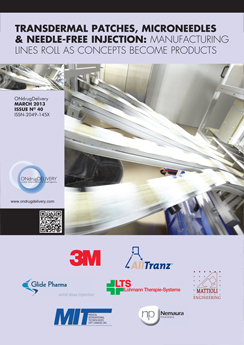 Thus, the Molly® project was born. 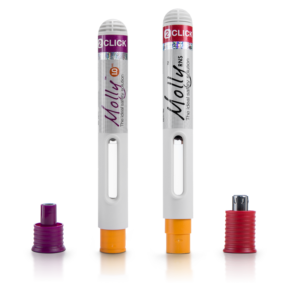 Figure 1: SHL‘s first preconfigured autoinjector line, the Molly®, was launched in 2010. 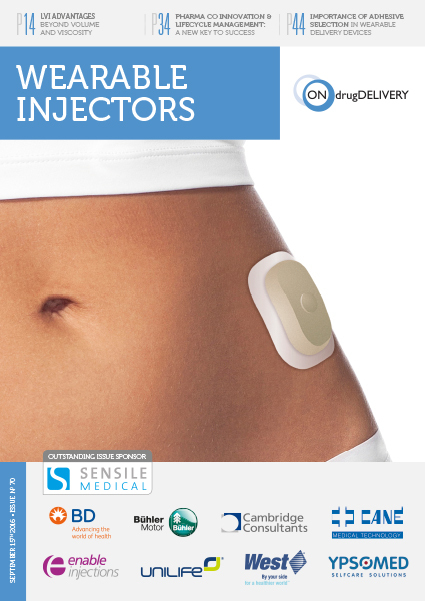 Recognising pharma’s need to accelerate drugs to market, SHL introduced the Molly® line in 2010, revolutionising the business model of the autoinjector industry with its preconfigured infrastructure (Figure 1). 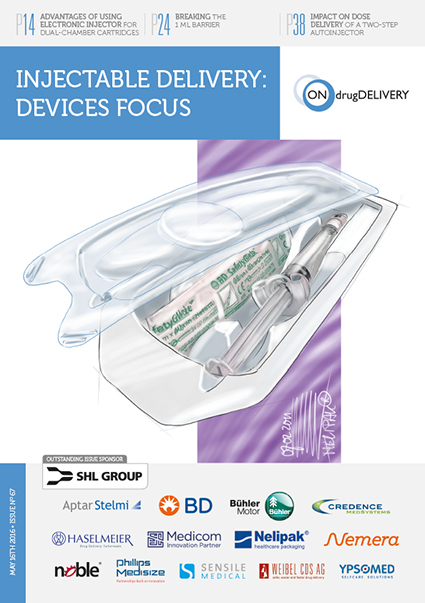 Through years of observation and in-depth research, SHL experts created a superior investment strategy for its customers with the preconfigured autoinjector, which reduced product development time and eliminated many hurdles that regularly occur in the early stages of the design process. 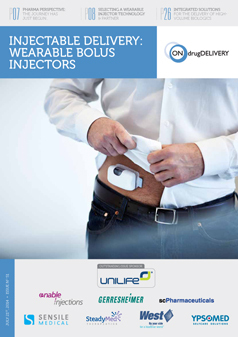 Designers rose to the challenge of developing an intuitive, functional, ready-made device that still considers the patient’s comfort, resulting in a compact, portable, robust autoinjector. 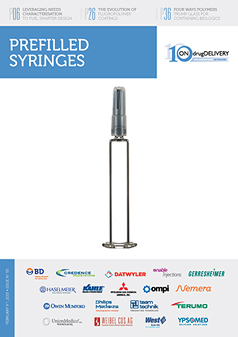 Determined to simplify the treatment experience, SHL has also made advancements in the autoinjector’s mechanisms, providing patients with the option to activate the injection by simply pressing the needle cover against the injection site. 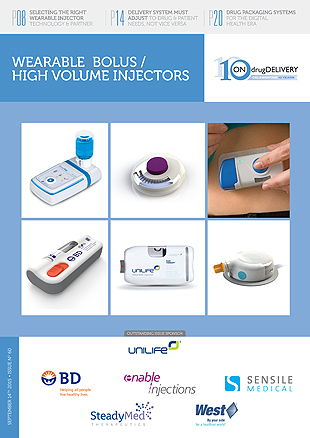 Patients no longer need an additional step of the button-press to activate injection, but can complete the injection via a two-step process – uncap and inject – that was specifically designed and built by SHL designers and engineers. 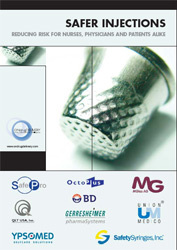 The Molly® technology reduces the number of components that must be packed inside an injector, but it still maintains balance between simplicity and functionality. 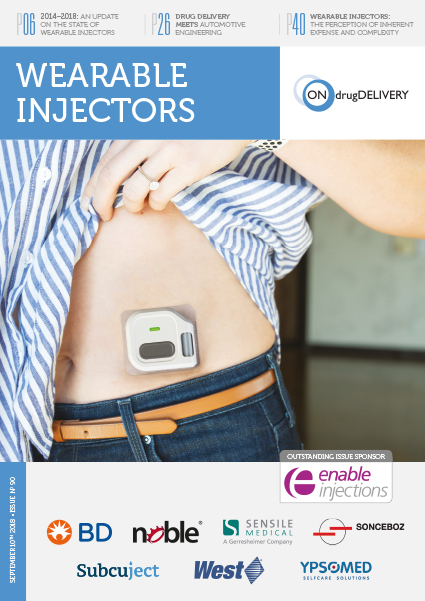 This compact mechanism can deliver the desired injection speed and force for both 1 mL and 2.25 mL prefilled syringes, while still offering key design features, such as a two-click audible feedback to indicate the beginning and end of injection. 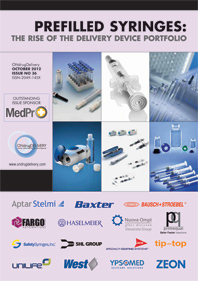 SHL’s Molly® family product offerings include Molly® FNS, Molly® RNS and Molly® 2.25. 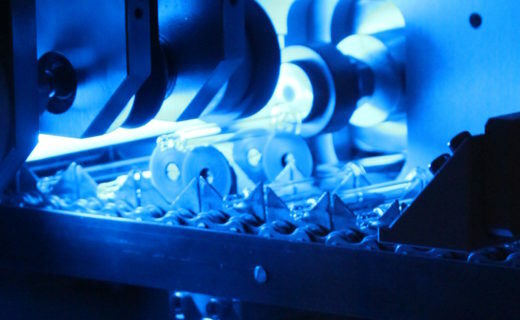 The Molly® business model requires SHL’s customers to only make minor investments, thus cutting down major individual investments in tooling, assembly and/or testing equipment. 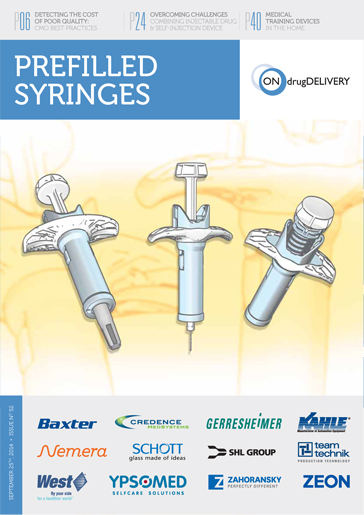 Customers can be offered a selection of colour preferences for branding purposes and optional spring adjustments depending on the prefilled syringe, filling volume and drug formulation before launching the device for market. 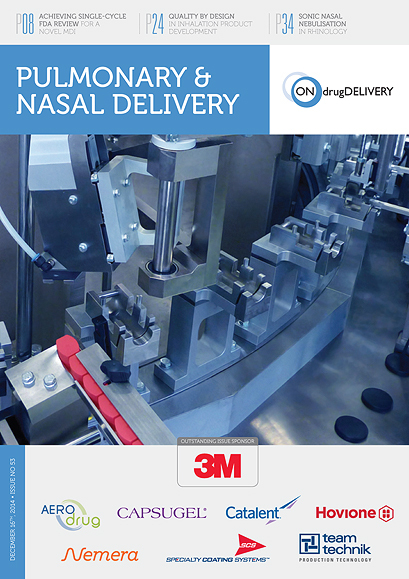 Figure 3: SHL’s in-house automation capabilities offer a robust assembly line for Molly®. 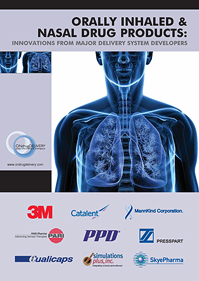 The speedy development timeline Molly® enables is mostly from its preconfigured technology. 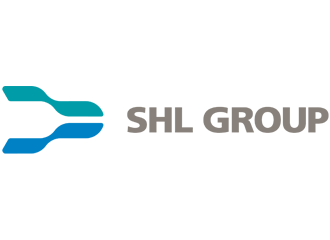 However, an additional factor that expedites the process comes from SHL’s vertical integration of key manufacturing capabilities, which facilitates automation and assembly systems to be developed in parallel. 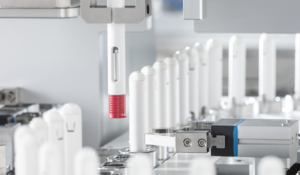 SHL’s in-house automation capabilities drive a robust assembly line for production scale-up, which leads to faster product delivery times (Figure 2). 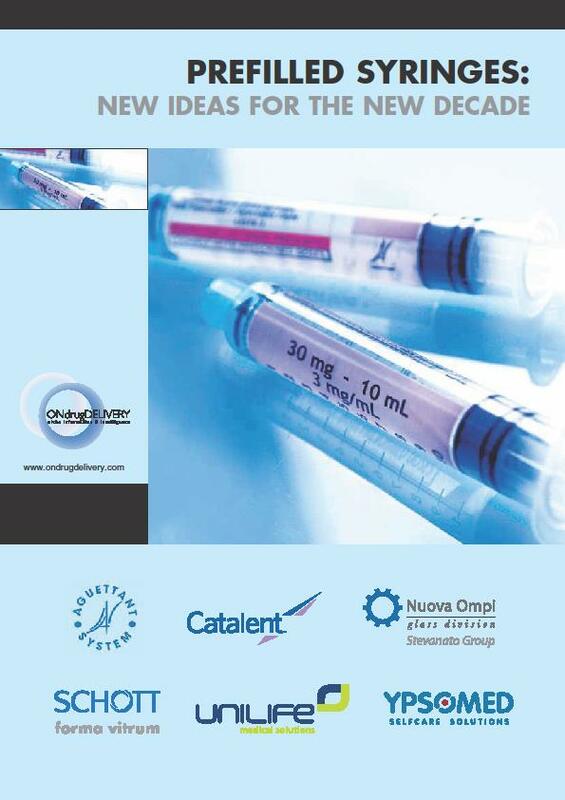 Offering volumes up to 2.25 mL per injection, Molly® 2.25 can now satisfy an even wider range of patient needs, while still shortening timelines in the development process with its preconfigured settings. 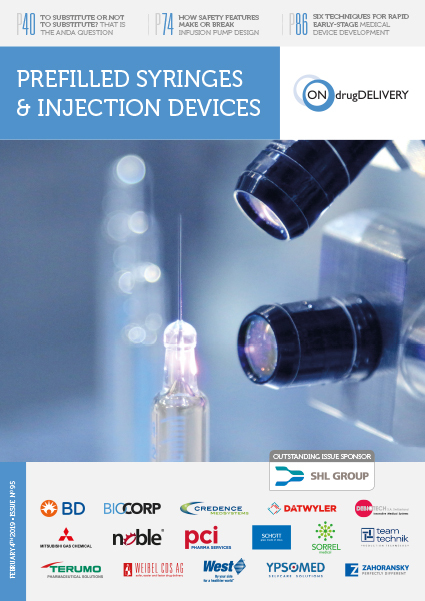 To coincide with demand as more pharmaceutical companies continue to develop and manufacture a growing number of biologics that are naturally large in volume, SHL is offering the high-volume variation of Molly® as a solution for high-volume injections (Figure 3). 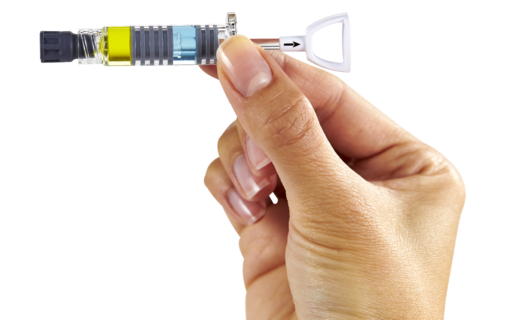 Molly® 2.25 comes with a rectangular, easy-to-pull cap that prevents the device from rolling, as often occurs with many autoinjectors with round caps. 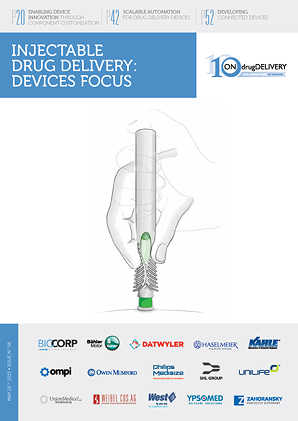 This strategic design was aimed at preventing autoinjector breakages from accidental drops, contributing to the safety requirements of the device. 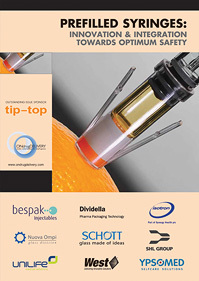 The autoinjector is also built with a viewing window that clearly shows the plunger rod movement and finishes with an audible click at the end of injection. 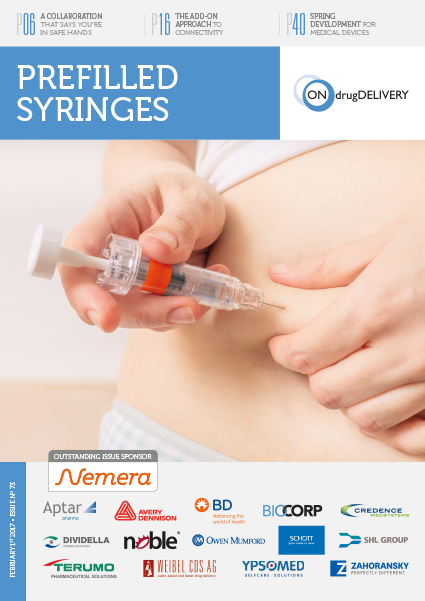 Users are sure to know when the injection has been completed, ensuring that the intended drug dose has been injected. 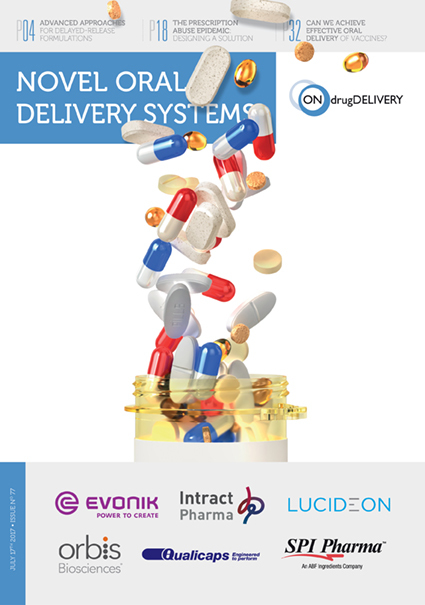 In launching Molly® 2.25, SHL has again taken into consideration customer demands and patient needs, delivering faster development timelines and higher volume injections. 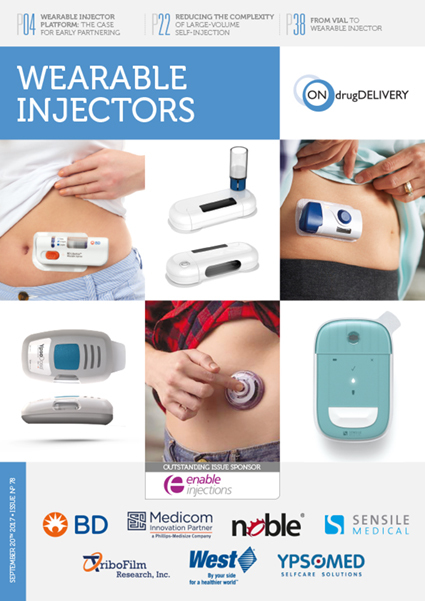 With the “less is more” approach to design, Molly® 2.25 aims to transform markets and shape the future of autoinjector development. 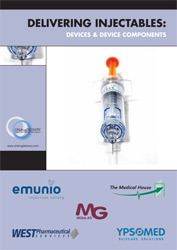 Figure 2: The Molly® 2.25 is a high volume variation of the Molly® autoinjector. 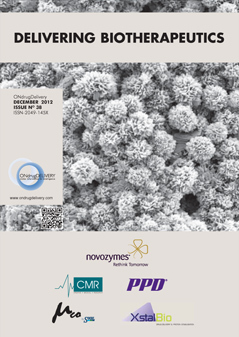 Philippidis A, “Large Molecules Continue to Gain Favor”. 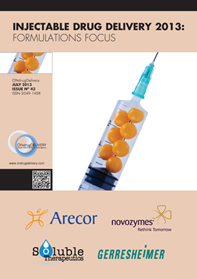 Genetic Engineering & Biotechnology News, 2015. 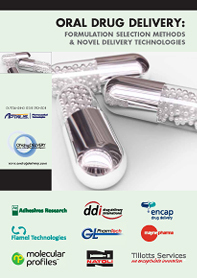 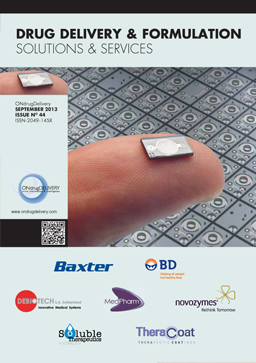 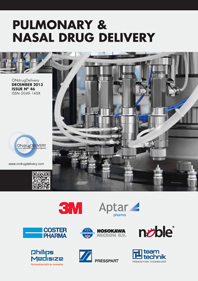 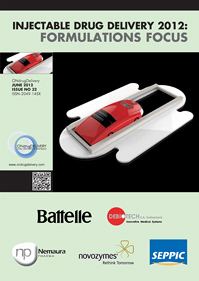 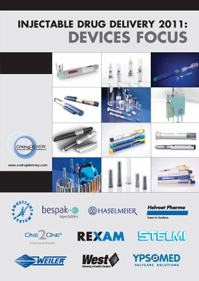 “Critical Considerations For High Viscosity/High Volume Drug Delivery Devices”. 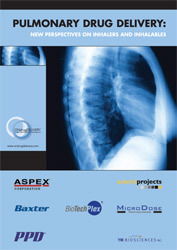 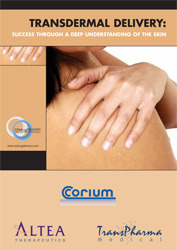 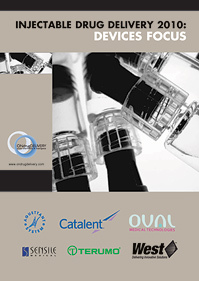 Clinical Leader, white paper. 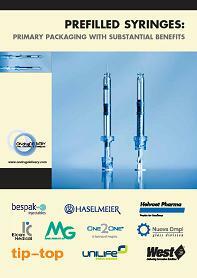 Zijlstra E, “Insulin Injection: Recent Improvements and Alternatives”. 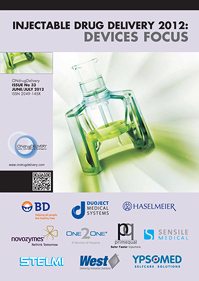 Profil, 2018. 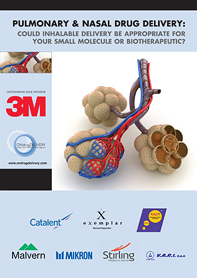 “Small and large molecules”. 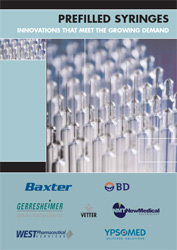 pharma.bayer.com. 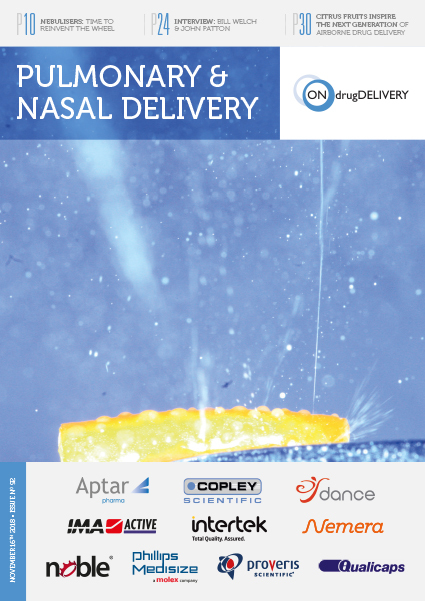 Clapton D et al, “Tolerability of High-Volume Subcutaneous Injections of a Viscous Placebo Buffer: A Randomized, Crossover Study in Healthy Subjects”. 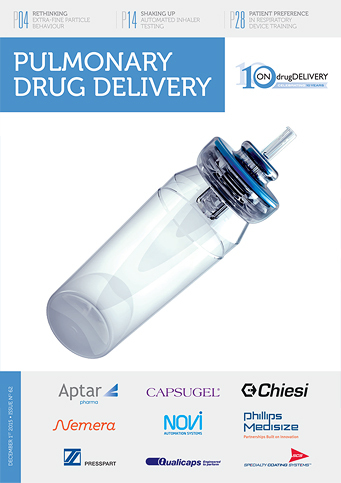 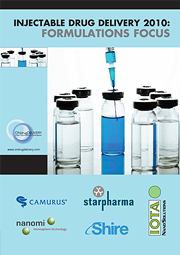 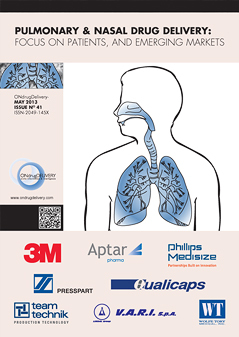 AAPS PharmSciTech, 2015, Vol 16(5), pp 1101–1107. 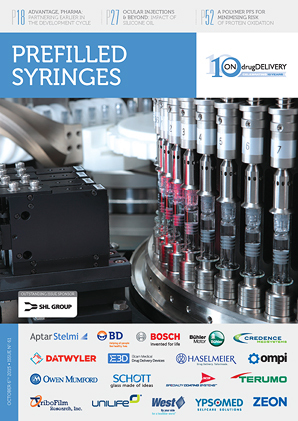 SHL Group provides solutions for the design, development and manufacture of drug delivery devices such as autoinjectors, pen injectors, and inhalers. 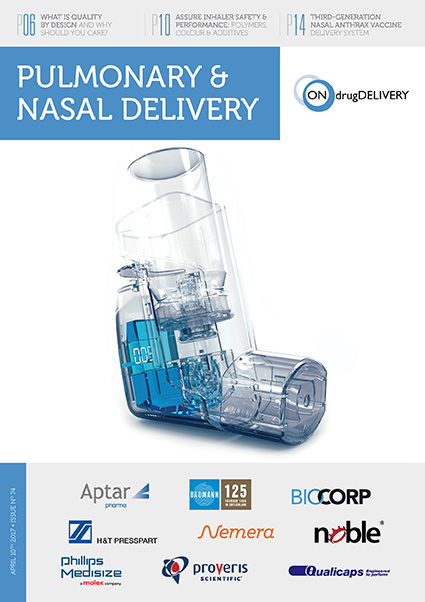 It offers final assembly, labelling and packaging services for its injection products, and services for medtech and patient care solutions. 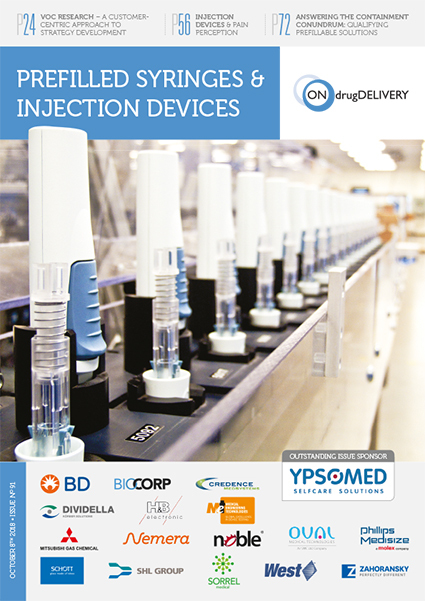 This year’s Universe of Pre-filled Syringes and Injection Devices will examine increasingly important issues, such as the new patient-centric business reality for the self-injection market and rising US FDA concerns about self-injection. 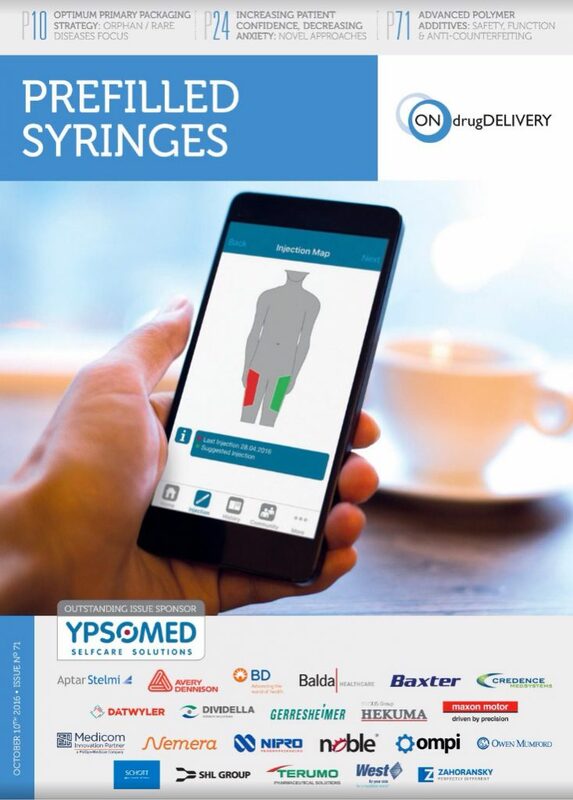 Alan Shortall provides an introduction to some significant trends in the pharma industry, such as the use of smart phone apps and the move of injectable medication delivery away from the clinical setting. 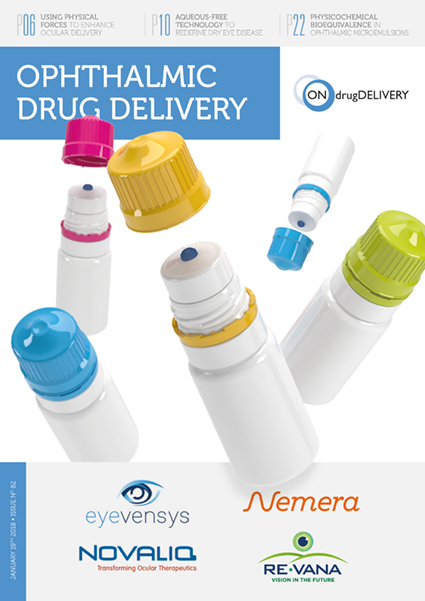 Alessandro Morandotti introduce the Ompi Nexa Syringe, and describe in detail how its design fulfills the challenging quality requirements for prefilled syringes used for the storage and delivery of biological molecules.